Low cut, vintage inspiration. The Sawa trainers are the new must-haves in a streetwear closet. These Lafrica trainers have minimalist design inspired by tennis styles. Contrasting band at the side, logo on the tongue, map of Africa inset in the sole. Lace-up fastening. Leather uppers, lining, and sock. Rubber sole. Entirely made in Africa, Sawa is an Ethiopian brand that develops true know-how in terms of design and production of trainers. 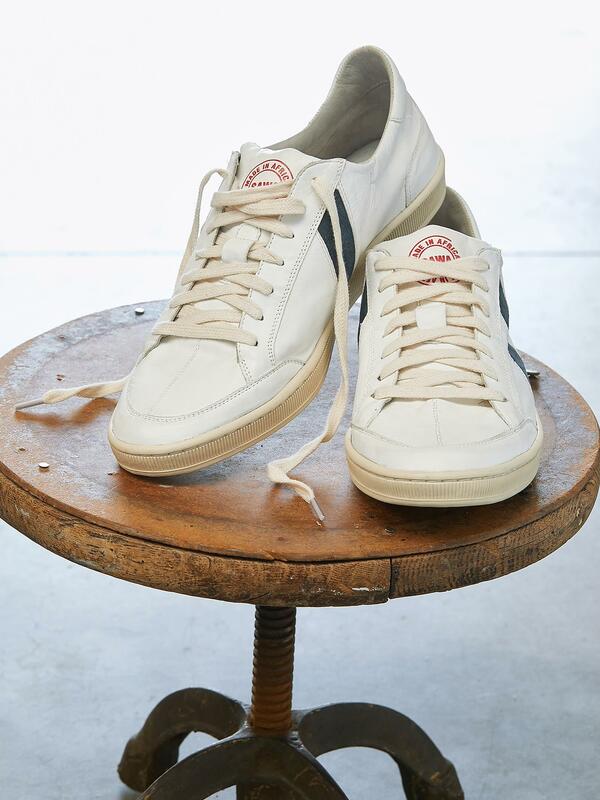 Vintage looks, exceptional quality, Sawa trainers are a gauge of excellence and comfort.